The range of freelancer talent available for independent authors today is astonishing. Designer Rachel Lawston, who we interview today, is a perfect example of that. After working in-house for Penguin Random House, she is now freelance and works both for big publishers (HarperCollins) and indie authors. But is it really worth it, for an independent author with a limited budget to invest in such a talented professional for the cover design? We, at Reedsy, firmly believe it is. As we discuss in the interview, many covers out there look very similar. Self-published books are still very much stigmatised by certain spheres of the publishing industry, and that is mainly due to the quality of the books’ production (i.e. the cover, because that is the first thing you see). Rachel shares her views on that, and more, in this very insightful interview. Hi Rachel, great to have you here. You’re one of our best childrens and YA designers on Reedsy. And you’ve worked both in-house and as a freelancer. 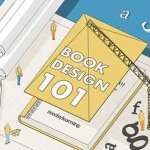 How did you get started in book design? Wow thank you so much, that is very kind of you to say! My first role in publishing was an assistant designer position at Walker Books. I was very lucky as I was trained by some very talented and wonderful people there and their books are so creative. You’ve worked in-house for Penguin Random House for over 3 years, and have now gone freelance. What do you reckon is the proportion of designers/editors who have done just that in the past few years? Gosh that is a tough question to answer – I honestly don’t know. I have noticed a lot of excitement and interest over the growth of new media, and different ways of working, perhaps that has caused more people to go freelance? You work both for big publishers, independent ones, and indie authors. Are there any differences in the way you approach things with these different clients? 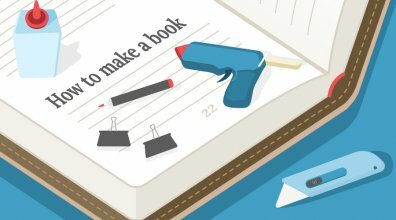 What’s your typical way of working with an indie author? I always treat every book with the same level of respect and careful attention that it needs to become the best it can be, regardless of whether it is a big publisher, independent or an indie author. 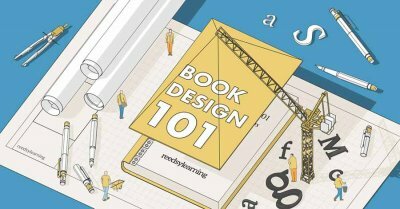 Some books need more time than others, but that it is the nature of book design. Publishers and independent authors have their own very individual working styles and demands which make them exciting and a pleasure to work with. One of the nicest things about working with indie authors, is that they often take an active role in the creative process. I really enjoy working in collaboration with indie authors because the experience is so different to working with a publisher. For instance, I don’t think I can ever really explain the feeling of immense satisfaction I feel when I design a book cover for an indie author. When you directly work for an author, you witness their journey. When working with an indie author I always design a package around their individual book/series, with the their objectives and their budget in mind. If the author is based near to me, I always try to meet them (often in a bookshop!) so that we can discuss ideas, outline their aims and how they want to publish their book. 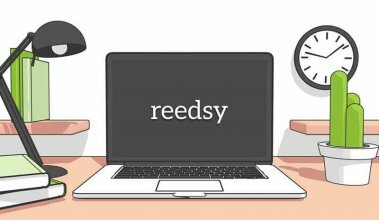 I really like this sentence on your Reedsy profile: “You’ll have all the benefits of my experience, understanding of brand management, post-production and project management”. Do you think that when working with indie authors, designers have to be more than just graphic artists? Thank you! I feel it is important to support my authors as much as I am able. My experience means that I am able to offer these services. I think that the “you need an editor” message has really sunk in for most (serious) indie authors out there. However, many of them are still trying to make cuts on cover design and interior layout. Is it really worth it for an indie author with a limited budget to invest in a proper graphic design professional? Gosh, that is a tough question! I always feel very mean when I tell people about the importance of hiring a design professional, as I realise not everyone has the budget to do so. I believe that an eye-catching, well-crafted, well-designed cover increases the value of a book to readers and booksellers. A book cover should receive as much careful attention as it needs to become the best it can be, just like the text within. A professional designer will ensure you’re completely happy with your book before it goes to press because your book matters to them, and their final design reflects that. I do understand that some authors may not have the budget to pay the full fee for my services, which is why I create packages around each individual author, to suit their objectives and their budget. We discussed this in our last interview with a designer: Stewart Williams, and I’d love to have your thoughts on it: do you think there is a lack of originality in book covers out there? Are publishers/authors afraid to try new things in terms of design? I think it’s very important to be the first rather than the second! The last thing an author wants, if for their book to be lost amongst similar looking books! Do you prefer working directly with the author (and the author only), or working under the structure of a traditional publisher and interacting with the author, the editorial team, the marketing department, etc.? I love variety. One of the best things about being a freelancer is the diversity of work. I enjoy working with both indie authors and publishers equally! How do you see the future of children’s book publishing? Is it print books, apps, both? I see apps and ebooks as another format – like a hardback or paperback. I think there will always be print books. And how do you see the future of graphic design within children’s book publishing? Will designers also be formatters, app developers, or even publishers? I actually know a couple of designers who already work as publishers! One of the best things about being a designer in children’s publishing is that you are such valued part of the team. Thanks so much for taking this time for us! Learn more about book cover design, book layout design, typography or illustration on Reedsy. Click on our design links! Check out our Facebook page for daily posts, images, and videos on self-publishing and book marketing! How do you see the future of children’s books? Do you agree that covers out there, in general, look too similar? 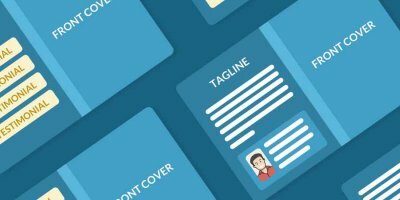 Do you think it is worth investing in professional cover design? Let us know your thoughts in the comments below!